$ 90/ per sq. ft. 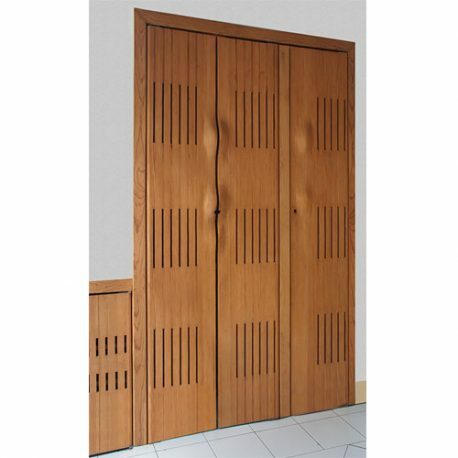 These doors are nothing short of spectacular: strong, sturdy wood takes on a softness and pliability rarely found. The intricacy of the weave and the polished sophistication of the finished product are testaments of their creators’ skill and artistry. 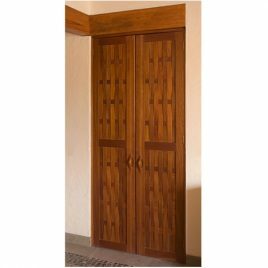 Custom door is $55/ per sq. ft. 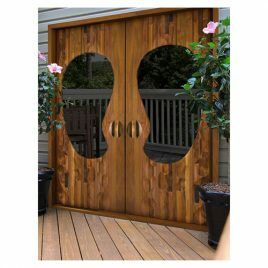 The visual interest of the bean-shaped panes and the texture created by the strips of wood already provides so much of a sensory feast, but it is enriched and enhanced all the more by the carved ripples that invite a more tactile exploration. 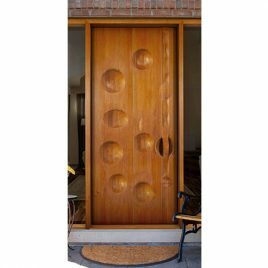 A simple yet ingenious idea has transformed these doors into sculptural masterpieces. The artist's playfulness is present in every smooth and undulating curve. The light plays many tricks on the viewer causing the figures to bring life and depth to the otherwise staid angles of a doorway. Available in Front, Back, or Whole (must be double-sided) styles.